How did you become a movie fan? Maybe you always have been. Perhaps your family would watch plenty of films when you were a kid, thus setting you on a path that has continued through your teens and into adulthood to this day. You might not remember a time when you weren’t into movies. It has always been there. Or maybe you were a casual watcher for a long time, until you saw that one awesome film that really opened your eyes. One movie to fall in love with that left you wanting more, and so you set out to discover other films hoping to find something to evoke similar feelings. That one great film was the starting point for you. Neither of these scenarios fit me. I’m not a life-long movie fan. That said, I certainly watched films when I was a kid. My family went to the cinema every now and then, but most of the movies I saw when growing up, I did on TV or VHS. 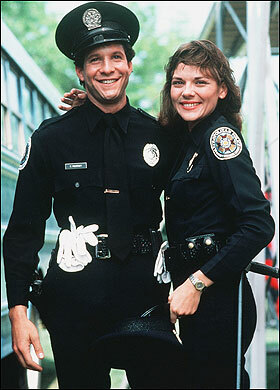 I could watch the Police Academy films over and over. Same with the Wayne’s World movies, and The Lion King, and Home Alone. But film was never my main interest. I was always more into playing video games, reading boks and comics, and watching pro wrestling. Those were the things I would call my hobbies. Watching movies was just something I did ocassionally. This casual level of interest continued into my teens. I would watch films at times, but never to any huge degree. When I was around 15 years of age in the late 90s came the boom of the internet, and now I had another thing to occupy my time with in addition to video games and fantasy novels. Even happening upon American Beauty in 2000 or 2001- a movie I fell in love with and which instantly became my new all-time favorite – was not enough to spark any big film interest in me. More the opposite, in fact. My watching of movies went from casual to barely alive. Perhaps it was a combination of things. Subconsciously, I might have felt that nothing could ever compare to American Beauty. My interest in pro wrestling was also picking up again after a few years worth of sabbatical. More important I believe was the fact that my life was changing, though. In 2002 I graduated from gymnasiet – roughly the Swedish equivalent of high school in the US. Old friends drifted away, leaving less opportunity for random spur-of-the-moment films. And now I also had to worry about what to do with my life. I had some vague plans of going to university, but I wanted to take some time to work and make money first. Job hunting proved harder than I thought, and in the midst of all this, I spent more and more time online. Eventually I went to university for a few fruitless years and felt kind of… lost. Then came World of Warcraft, and the less said about that the better. I didn’t notice it at the time, but during this part of my life I hardly watched movies at all. I would spot a trailer at times that looked interesting, but didn’t see the film. Someone might mention how they just saw a great movie, and I’d just shrug and move on. An example: When a friend told me had bought Batman Begins on DVD, it was the first time I ever heard of the film. I just didn’t care about the world of movies. I had other things to spend my free time on. Things changed in early 2008. I had gotten Transformers on DVD from my brother for Christmas (we both loved the toys when we were kids), and found myself with some other unseen movies lying around for some reason. World of Warcraft was starting to lose its grip on me at that point, so one weekend where I had nothing better to do, I sat down to do some movie watching. 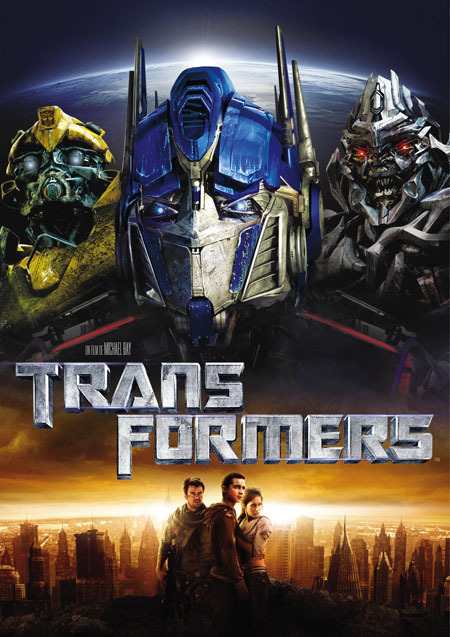 I saw 5 movies: Transformers, The Terminal, Hostel, The Butterfly Effect, and Captivity. In a typical story, you might expect me to have had an eye-opening experience with one or more of these. But I didn’t. True, I remain very fond of both The Terminal and The Butterfly Effect to this day, but they’re not amazing or anything. No, the noteworthy thing about these films isn’t the films themselves, but what they led me to do. On that Sunday, February 10 2008, I went on an off-topic forum at a video game website I frequented and started a new thread, where I offered a few lines of summary on how I felt about these films. This wasn’t something I had any habit of doing, but random threads about whatever were commonplace on that message board. I didn’t put any thought into it. It was just something to talk about with people online. At first, nothing much came of it. Someone chimed in saying they hated Transformers, someone else expressed joy at my liking of The Butterfly Effect. Huh? Eternal Sunshine of the what now? I’d never heard of it before but figured that Jim Carrey was usually good for a laugh or two, so I decided to check it out. I wrote a bit about it, and someone told me to watch Death Proof. The suggestions and recommendations kept pouring in. I found myself watching lots of movies. More than at any other point in my life. I had a lot of catching up to do. Not even counting all the films I hadn’t seen from before the millenium shift, I still had pretty much the entire past decade of films that had passed me by. There was so many great movies to take in. The mind-blowing Memento, the heart-melting Amélie, the blood-pumping Crank, and the eye-opening Adaptation, to name but a few. Sure, I saw plenty of underwhelming films as well, but they all helped me refine my tastes. And I went back further in time too, seeing some beloved films for the first time like The Princess Bride and One Flew Over Over the Cuckoo’s Nest and found they lived up to the hype. I would talk with friends about flms I had seen as though they were fresh new discoveries when they were really old hat to them – I vividly remember a bemused look I got from a friend when I, in 2008, started talking about this unknown gem of a comedy called Anchorman. I would often go to my best friend’s place and bring a bunch of DVDs with me, both to revisit films I loved and to show them to him because by God, he just had to see this Sideways film! There was no need for me to go to the cinema much, as there was so much to see on DVD whether bought, rented or borrowed. But every now and then I’d head to the theater with friends to see films like The Dark Knight (awesome) and Max Payne (terrible). I learned which people online liked the same films as me and prioritized their recommendations. But just following their suggestions wasn’t enough. When I discovered a new actor I really enjoyed, like a Jason Statham or a Maggie Gyllenhaal, I would look for more films starring them. I started paying attention to the people behind the camera too. After falling madly in love with Amélie, I had to see what else Jean-Pierre Jeunet was capable of. And whoa, wait; Seven, The Game and Fight Club are all directed by the same guy? Some dude named David Fincher? What else has he done? I started reading blogs to further expand my horizons, and began keeping up with film news. I discovered the wonderful writing of Roger Ebert, James Berardinelli and other critics, reading them more to find new perspectives than to find out whether a movie was good or bad. I read books on film – Louis Giannetti‘s “Understanding Movies” had a big effect on my viewing experiences. I would use websites like Flickchart, Filmtipset, and ICheckMovies to keep track of the films I had seen. I started a blog of my own – the first of several – where I would talk at length about movies I watched. Twitter also became a great way to find new people with interesting opinions. A peculiar thing is the divide that has sprung up between films I saw before and after my cinematic awakening. Films I adored back then still remain among my favorites: American Beauty, The Blues Brothers, Groundhog Day, Terminator 2 and more. Others I might be able to find faults in now, but they still live strong thanks to nostalgia; Interview with the Vampire for example is really pretty corny, but I can’t help but love it. I find it hard to compare movies from opposite sides of the divide, however. Even when they’re kind of similar, like Forrest Gump (seen before my awakening) and The Shawshank Redemption (seen after). I know I have different perspectives on these films, so comparisons feel unfair. Fortunately, you don’t have to choose between two great films and can love both equally. Now, almost four years after that one weekend in February 2008, film is my biggest interest. My viewing pace might have slowed down a bit and fluctuates more, but I do tend to watch a couple of movies every week. And I still find time for my old interests as well. I play video games when I have something fun to play, I keep up with the world of pro wrestling, and I read books every evening – sometimes ones that have had good film adaptations. But movies is where my heart lies. Considering the short time I’ve been a film fanatic, I sometimes feel inexperienced in the field. Many of you readers have been into the art form for much longer than my four years. The same goes for plenty of bloggers I read and people I follow on Twitter. I’ve also never studied film at college or anything. So I’m not the most well-versed or knowledgeable movie lover in the world, but there’s not much I can do to change that in the present. All I can do is to look towards the future and try to broaden my views in time. I’m still learning, still catching up, still hungry. My rental queue at Lovefilm currently consists of 863 films, and that’s not counting the prebooked ones that haven’t been released on DVD yet, or the ones they don’t have in their database which I keep track of at a different site. The total amount of films I know of that I want to see rises well over 1000. I’ve put up goals to pursue. I want to see films from more countries I’ve never seen films from before, until I’ve tagged every country in the world. I want to explore older movies more so I can find them less threatening. I want to see every movie that Jason Statham or Shannyn Sossamon have ever been in. I want to find that one Woody Allen movie that I’ll love and am sure is out there somewhere. I want to get around to watching highly acclaimed films I haven’t seen yet, like Goodfellas and Jaws (coincidentally, Roy Scheider died on the day my film interest took off.) I want to be a good Swede and finally see my first Ingmar Bergman movie. Most of all, I want to see more great films, whether they’re ones that live up to hype or unexpected surprises. 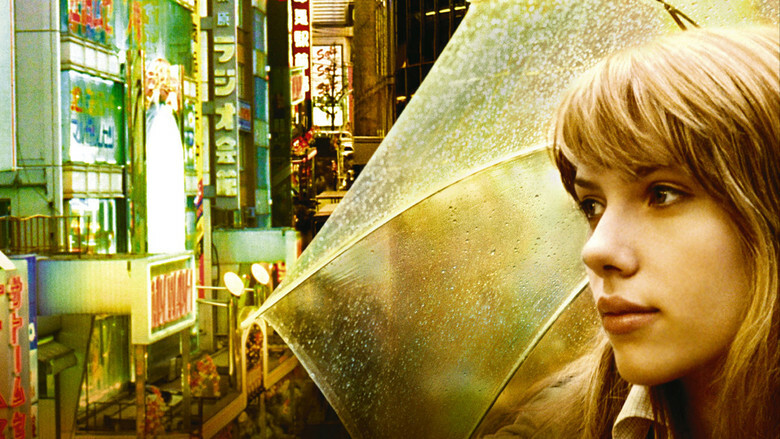 I want to find movies to love as much as I love American Beauty, Amélie, and my current favorite Lost in Translation. This is how I became a movie lover. The why still eludes me. The way it happened seems so random to me. Was that starting ground of a weekend really just a case of me not having anything better to do? Perhaps there’s more to it. If there is, it’s buried in either my subconsciousness or in the realm of forgotten memories. “It just happened” doesn’t make for much of a story to tell – although I suppose that didn’t stop me from writing these 2000+ words on it. I still post on that forum where it all started. I make a comment on every movie I see, and have done so for the past four years. People don’t recommend films to me as often. Instead, they share their own thoughts on movies they’ve watched. At times, some even ask me for recommendations. I’ve become “that movie guy” over there. There are worse things one could be. So how did you become a movie fan? Posted by Emil on 20 January, 2012 in Misc. I watched movies with my dad and my brother growing up, but never made a big thing of it. It was an occasional thing, not something we looked forward to but something we still enjoyed. It wasn’t till I grew up that I really started to watch movies avidly. Now they’re my number one obsession. This was a great read, Emil. Thanks for posting. Interesting. Was there anything in particular that made you more interested, or was it just something that happened gradually? Thank you for reading it, and for the kind words. What an interesting read, Emil! It’s tough for me to answer questions like this, because I mostly fall into the first category. I don’t remember not being a film buff. I grew up in a fairly sheltered, conservative household and my mom just always showed me the films she remembered seeing as a kid in the ’40s and ’50s instead of what was new in the ’80s, so I grew up almost exclusively on classic Hollywood. I didn’t think anything was weird about that, and I loved them. Plus I admit to feeling a little bit elite by knowing all this old stuff and none of the new stuff. By the time I was 12 or 13, I’d branched back into the ’30s (earlier than my mom could remember) and by 15 or 16 I was snagging foreign films, following director and star filmographies, etc. There were other things I was interested in along the way – largely horseback riding, which took up a lot of my teenage years – but I always came back to movies, and they’re definitely where my loyalty lies now, even though I tend to cycle between movies, television, video games, music, and the internet in general as far as what I spend the most time on. Of course, I did a ton of reading when I was in grad school for English lit, but I got kind of burned out on it then and haven’t gotten back into it as much yet. I think that scenario fits for a lot of people. It is interesting how we are shaped by our adults even movie-wise as we grow up. It could go in different way too. What if you had rebelled against your mother and decided to reject all old movies and only watch the latest blockbusters? You’d still be influenced, but in an entirely different way. I don’t think I’ve had a whole lot of cinematic upbringing from my parents, though. They’ve never been all that into movies. I do know that part of the reason I love The Blues Brothers is because my dad does, and he would make sure we saw it whenever it was on TV. But then some of his other favorites, like Bullit and the James Bonds, haven’t had similar effects on me. The cycling of interests is something I’ve only really noticed in myself the last year or so. There have been a few periods where I’ve gone a few weeks without seeing a single film – most recently when Skyrim was released. That’s the neat things about hobbies, though: they can allow for break-taking. Thank you for commenting, Jandy. I can’t remember the transition from casual movie watcher to crazed movie fan, but it happened sometime in high school. My mom was a huge fan of old movies and both my parents were a fan of musicals, so I grew up on Cary Grant and Fred Astaire and Katharine Hepburn and Bing Crosby. We watched movies a lot and I liked them, but it wasn’t until sometime in high school that I started getting more into my own thing. I discovered Woody Allen movies. I watched my first foreign language film (Spirited Away). I started watching stuff nobody else in my family wanted to see. 2002 was when I started really keeping track of what movies I watched and what I thought of them – I would’ve been 16 then. I can’t pinpoint *exactly* when this whole transition started, but it was somewhere around then. I don’t think anyone could really pinpoint things like that in retrospect. The only reason I can specify a date is because I, on a whim at the time, saved that first forum thread I made onto my computer. Your love for old musicals and Woody Allen is something I recognize from your blog posts. It’s fun to hear where it came from. Thank you for commenting, Hannah. Wow, that’s a very interesting read and like hearing stories like this. Funny how the bug can suddenly catch you isn’t it? Personally I always watched movies and steadily built a nice DVD collection. After a while I started to write very short reviews on my Facebook page for my friends and one day while I was bored at work I looked into blogging and just started one. Ever since that day I started watching more and more movies and really got more passionate about movies. The amount I have seen since I started blogging (almost two years) has been almost the same as I had seen the six years before that. Thank you for the kind words, Nostra! You touch on something that I think has really changed people in a big way: The ability to have one’s voice heard through the internet. It’s so easy these days to find people to connect with and discuss one’s interests; whether it’s movies, books, pets, travelling or whatever. It’s easier to really dive into a new hobby now than it was 20 years ago. I know my story couldn’t have happened the way it did if the internet didn’t exist. Same thing goes for me. I always remember this comedian talking about how the internet enables people with the weirdest interests being able to find each other. For me it has meant meeting a lot of other great movie bloggers and one of the biggest reasons I have kept doing it. Great post Emil, I always like to read these kind of posts, where we can learn about the breaking point into movies. Mine was recently, about a year and half ago, when I watch A streetcar named desire- it was the first time when I felt the need to write about a movie I saw, and I had so much inspiration, noticing a lot of thing, from performance, to lighting, to storyline meaning. It was an eye-opener for me and I haven’t stopped since! A Streetcar Named Desire sounds like an interesting case. A lot of casual movie watchers tend to shy away from old films. Have you always been a fan of older movies, or did this one just happen by accident? And thank you for the praise! I think it was by accident- I don’t consider myself a fan of old movies and I don’t watch them as much as I should, but I do like their charm and elegance and simplicity, they are special in so many ways! Wow… dude that was an awesome read! Love to hear a good story like that and learn a bit more about a person through their filmic experiences. I’m going to have to do a similar post to this one of these days so I won’t go into the details now. But I’m pretty sure it all started for me when I was cast in a film at around the age of 6. It was a terrible terrible film called The Girl in a Swing and I ended up on the cutting room floor but the days I spent on set were absolutely brilliant! I had no idea there was a ‘behind-the-scenes’ and it blew my freaking mind! Ever since I’ve been absolutely hooked! Once again, great post and I hope one day you might get to read my own story of how I became a film lover! Thank you! This is a post that had been brewing in me for a long time – I wrote a first draft of it in September. I’m glad you and others like it. Your story sounds like an intriguing one. Not everyone can say they’ve been part of a film production. I’m definitely looking forward to reading your blog post whenever it’s coming. A fun and interesting read for sure, and I must say it surprises me a bit that you’ve only really been into movies since 2008. I think most of the time people who haven’t had an interest for very long tend to mainly watch the mainstream stuff, but you certainly are open to a lot. My own story? Well, I remember two things from my youth (regarding films). The main influence was my older brother who in the mid-80’s had a lot of movies at home, all the time something new. So I pretty much grew up with movies from the 80’s and they’re still some of my favorites to this day. One such movie was The Terminator (1984), even though I was much too young to watch it at that time, haha. I mainly liked comedies and other fun movies, like Beverly Hills Cop (1984) and Gotcha! (1985), all of them big favorites of mine. The second thing I remember was that when my parents used to visit some friends and took me with them, I got to watch Laurel & Hardy and some Chaplin short films. Those certainly made me enjoy the old stuff and probably is why I enjoy the classics as much as I do. Laurel & Hardy remain personal favorites while Chaplin also is a treat to watch, even though L&H was and is “my style”. Although this formed my love of film, it wasn’t until around the year 2000 that I took my film viewing to another level. This was when I really started my film interest by searching out the classics and getting a wider taste. It was at that time I started writing about pretty much every movie I saw (around 2001, I think) and haven’t stopped since. Funny you should say that about mainstream, because I often feel like I don’t explore enough. Especially when it comes to age, as the majority of films I see are from the 2000s. Which makes sense in a way. People who have been life-long movie fans often have fond opinions of the era of films they saw when they grew up. As you said, you watched a lot of 80s comedy when you were young, and I’ve noticed on your blog that you remain fond of that type of film to this day – although you’ve certainly branched out a lot too. People 20 years older than you might find those movies less appealing. Since I only got into film in a big way in the 2000s, perhaps that’s part of the reason why I prefer films from that period. At least so far. Thank you for the kind words and for sharing, MN! It is interesting to read your story and think of all the ways that people come to be cinephiles. I kicked off my own blog recently with my story of film love. I’ll go check it out. Thank you for reading, David! It’s funny how as children we could be so fascinated by certain films that we would watch them over and over and over. Nowadays, it’s mostly about seeking new experiences all the time. I can’t remember the last time I watched the same movie twice in one week. Thank you for stopping by and commenting! Always nice to see new faces around here.